MORE MUSCLES DOING MORE THINGS MORE OFTEN. 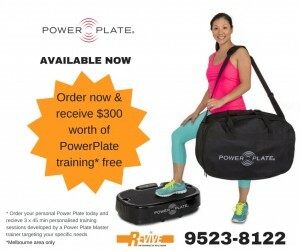 Personal Power Plates are now available for order through Revive the business of Well Being. The best thing about the Personal Power Plate is that it produces a harmonic vibration to create an authentic environment creating variability we react to, daily, in our natural environment. It is totally Portable and easily moved and is perfect for home, clinic, office or studio/gym. Receive $300 of Power Plate Training/Education or both FREE to ensure you fully understand the positive impact the Power Plate has on us whether it be for fitness, Rehabilitation, Flexibility, Recovery and Regeneration or Wellness. 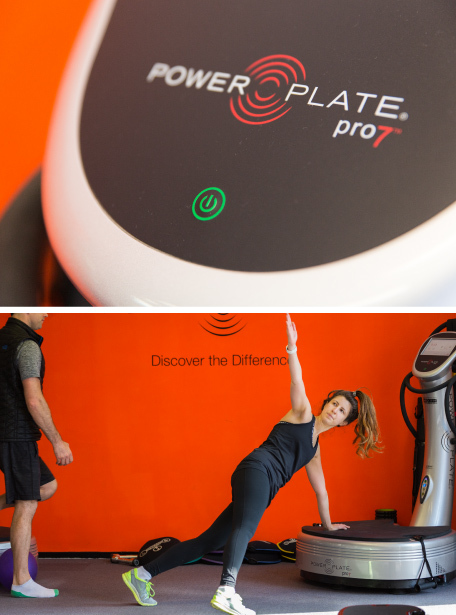 Call us for further information or to come in to our Studio and and experience the benefits with one of our Power Plate Master Trainers. This means, clients who that want to avail themselves of Whole Body Vibration now can. Dan and Lily are always able to walk you through a program suitable for your needs, whether it’s Sports Performance, Rehab, Core, Balance, Strength, Metabolic, Pre and Post Natal or Post or Perimenopausal. Whole Body Vibration is the next generation in physical conditioning and training providing time efficient exercise and genuine break-through in medical rehabilitation. Originating with Russian cosmonauts; Whole Body Vibration (WBV) was used to prevent astronauts from developing severe bone mineral loss and subsequent crippling osteoporosis performing extend space exploration whilst in a non-gravitational environment. Whole Body Vibration and Advanced Vibration Training has emerged with immense application with elite athletes including cyclist Lance Armstrong, Olympic athletes, numerous NFL and international soccer clubs all using the immediate and continued benefits of WBV as part of dynamic training and recovery. WBV is also providing valuable assistance in the treatment and management of chronic neurodegenerative conditions maintaining the window of therapeutic opportunity, promoting recovery and stabilization. Gone are the days of simply living with disease! Whole Body Vibration results in 40 -50 active muscle contractions per second however; without physical exertion of the individual. WBV causes between 95-97% active muscle spindle responses compared with 40-45% activity with traditional physical activities. This is an extremely efficient total muscle mass stimulation and significant rehabilitative tool in individuals aged and or disabled. Improves the culminative effects of both regular and high intensity athletic training. Improves muscle twitch fiber responses – improved ballistic responses including jump response, knee and leg extension response and strength and; neuro-muscle coordination. Promotes cardiovascular effects without the harmful effects of running and or impact related sports. Increases basal metabolic rate without cardiac stress. Improves circulatory function and in particular peripheral circulation – extremely important in diabetic patients with poor circulatory function which ultimately leads to vascular disease, delayed wound healing and gangrene related issues. Improves balance and coordination in neurological patients – improved transfers, walking and less falls. Improves neurocognition and neuroadaptation – extremely important with patients suffering neurodegenerative disease and traumatic injury. Increases natural release of endorphins; reduces harmful stress-related hormones such as cortisol. Increases natural testosterone production which is a powerful anti-aging natural hormone in both men and women. Reduces cellulitis and body fat – improves lymphatic drainage. Reduces bone mineral loss and improves bone quality in aged and disabled patients. Dampens chronic pain including arthritic pain, frozen shoulder syndrome, compartment syndrome and chronic back pain. Improves deep intrinsic spinal muscle responses, promoting spinal stability. Improves deep pelvic floor muscle rehabilitation providing effective treatment in the management of stress incontinence and pelvic floor dysfunction.